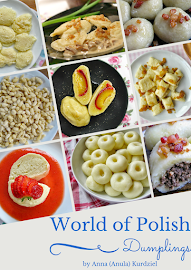 Those dumplings are very popular in Greater Poland. Quick, budget friendly dish, that literally anyone can make. Traditional way of serving them will be with some pork scratching and caramelized onion. Some recipes call for eggs, like the one below, but some won’t be using any at all, just raw potatoes, flour and a bit of salt. Both versions are delicious, very quick and simple to make. Also very easy on your wallet! Yes, I am aware that in different parts of Poland there are "grey dumpling" which are completely different than those below, even though they also use raw potatoes, but as with almost each and every dish in my native country - every part of Poland (sometimes even every family) has it's own way of preparing it and naming it too. Peel the potatoes and wash them well. Grate them on the smallest grater you have, very finely - to a consistency of puree. Put aside so the “water” can gather on top – discard that. Add eggs, flour and about 1 teaspoon of salt, mix well. If needed add more flour, you need thick consistency, holding quite together. In a big pot, bring some salted water to boiling point. Spread little of your potato mixture, creating about 2 cm thick layer, on a chopping board or plate, stand “above” the pot and using a spoon scrape dumplings straight into the pot. Once you have one layer of dumplings in the water, that’s enough. Simmer the dumplings about 4 minutes from the moment they rise to the surface. Drain and repeat with the rest of your mixture. 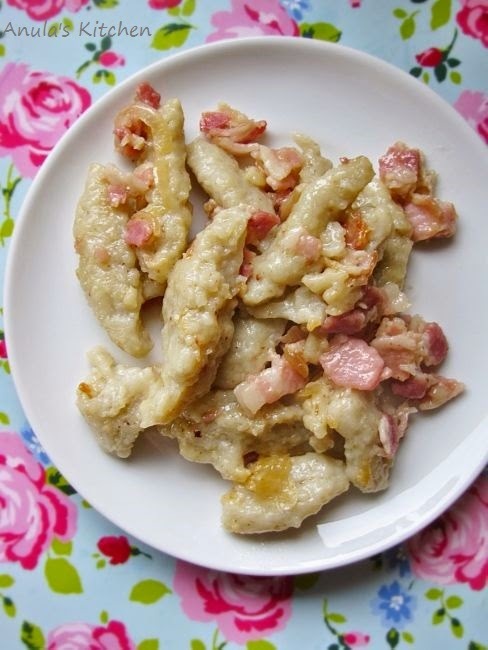 * When I was cooking the dumplings I had a pan next to the pot with some diced streaky bacon and sliced onion. When the bacon became crisp and the onion golden I was draining my dumplings straight into that pan. Covered the dumplings well in the bacon fat and onion and served. 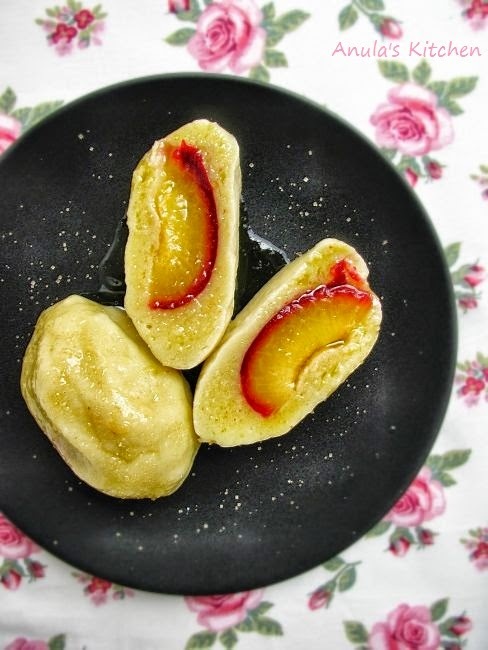 * My two little girls got a sweet version of the above - dumplings fried with butter and sugar!